Westgate are pleased to offer this five bedroom house situated within a 15 minute walk to Reading University. 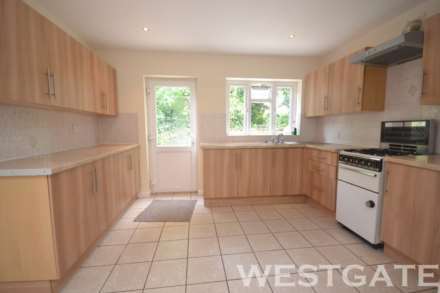 The property comprises of a spacious kitchen, two bathrooms, good sized living area, private garden and a driveway. Ideal for a group of students. Recently refurbished - LARGE five double bedroom property - Two bathrooms - Off street parking - Spacious lounge - Modern and fully fitted kitchen - Private rear garden - Within a 15 minute walk to University - Ideal student property - VIEW NOW! Westgate are offering this spacious five bedroom house situated within walking distance of Reading Town Centre & Reading Univeristy. The property is ideal for students and offers five good sized bedrooms, spacious lounge and modern kitchen. A lovely five double bedroom property which has recently been refreshed to a very high standard. The property benefits from a spacious kitchen, modern lounge with plasma TV, two bathrooms and five good sized double bedrooms. Rent Inclusive Of Electricity and water bill. Permit Parking Available. **RECENTLY REFURBISHED THROUGHOUT** Westgate are pleased to offer this extremely large 5 double bedroom house. The property comprises of a modern, fully fitted kitchen, two bathrooms, seperate WC, spacious lounge with utility area and is ideal for a group of sharers or students. An exceptional five bedroom house, located five minutes from Wessex, Bridges and Earley Gate University Entrance. The property has good size bedrooms, large lounge, two bathrooms and ample parking. Recently redecorated throughout.